If the ideal customer experience for your business involves sound, then your location needs an effective commercial audio system. Otherwise, your audio may be hard to hear or even distracting. Unfortunately, far too many business owners make the mistake of assuming that the most effective audio systems are those with the most speakers. This misconception can be a costly one. The truth is that you need to consider a number of different variables before you’ll know what number and kind of speakers are perfect for the customer experience you want to provide. 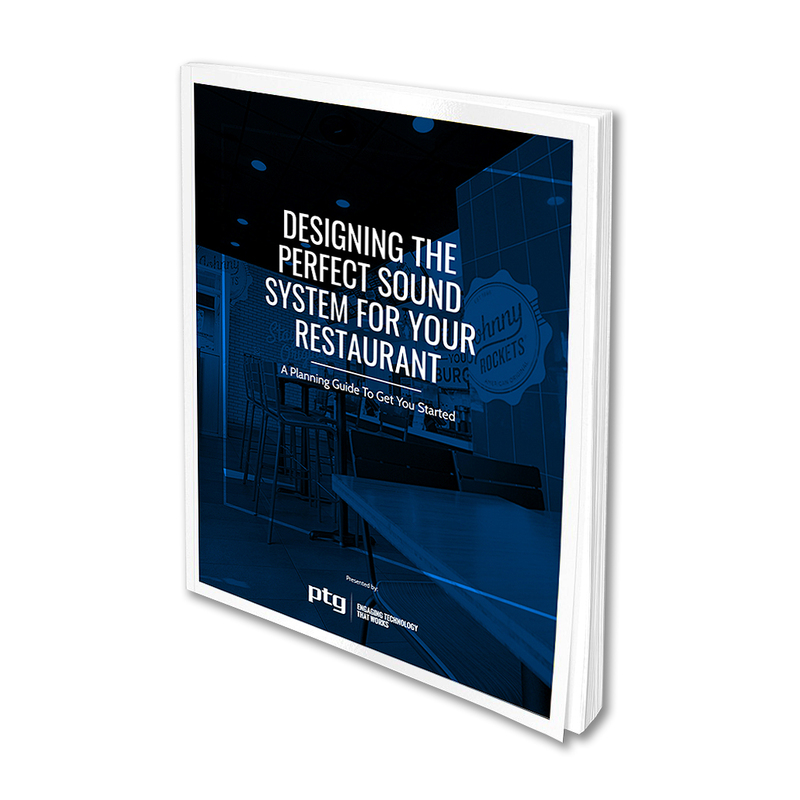 This refers to a blueprint that shows how a commercial audio system must be installed to achieve the company’s desired effect for their audio. The diagram illustrates not only where speakers are located but also how their sound will be dispersed. Therefore, creating an effective sound map requires much more than just the store’s blueprint. For example, if speakers need to be installed in the ceiling, how high up will that be? That will affect the kind of speaker that is used, the wattage that’s required, and whether or not an amplifier is necessary. Similarly, speaker locations depend on the type of speaker being installed, sound direction, the establishments dwell areas and traffic flow, among other factors. Obviously, it’s vital that sound is able to reach the customer at the highest quality. 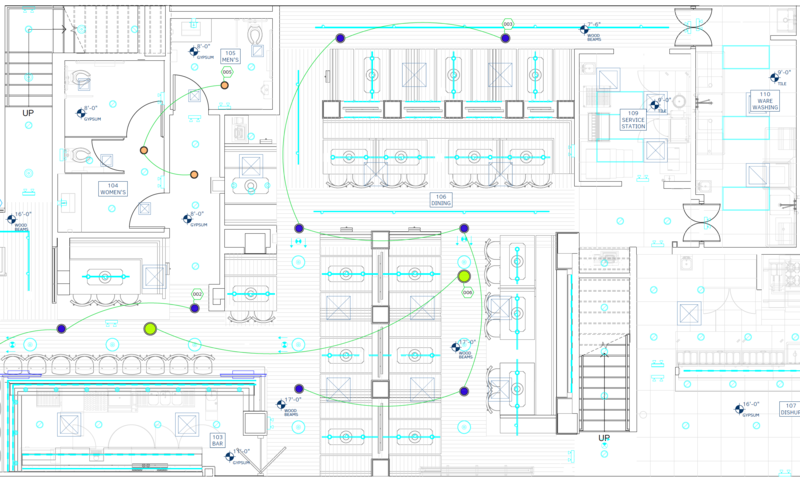 All of these aspects could have an acoustic impact on the effectiveness of your commercial audio system, so sound maps must be designed with them in mind. Then, there are the different needs of different “sound zones.” For example, the sound zone that encompasses the point-of-sale needs to be a bit quieter. Putting a speaker right above the cashier could make communication nearly impossible. Achieving your desired sound zones largely relies on choosing from two different types of sound dispersion. The first is edge-to-edge dispersion. If you imagine each speaker dispersing sound in a circle, this describes a setup where none of the circles overlap. As you walk out of the reach of one, you walk right into the reach of another. The second type is known as center-to-edge dispersion. In this setup, the border of one circle-of-sound runs right through the center of another. This kind of overlap ensures that, no matter where a customer is in a store, they are never outside of a sound zone. For all the reasons we just covered, adding more speakers to your commercial sound system won’t necessarily make it any more effective. There are also the speakers themselves to think about. In a well designed sound system, one speaker could eliminate six current speakers. First, not all speakers are created equal. One high-quality speaker may sound a lot better than multiple low-quality speakers, even though it results in less coverage. Furthermore, there’s your unique location to consider. You may need speakers installed in the ceiling, in the walls, or even a combination of the two. Making the right decisions may mean needing much fewer speakers than you originally thought. Second, there’s such thing as too much coverage. Again, think of the point-of-sale area at a store or booths at a coffee shop. 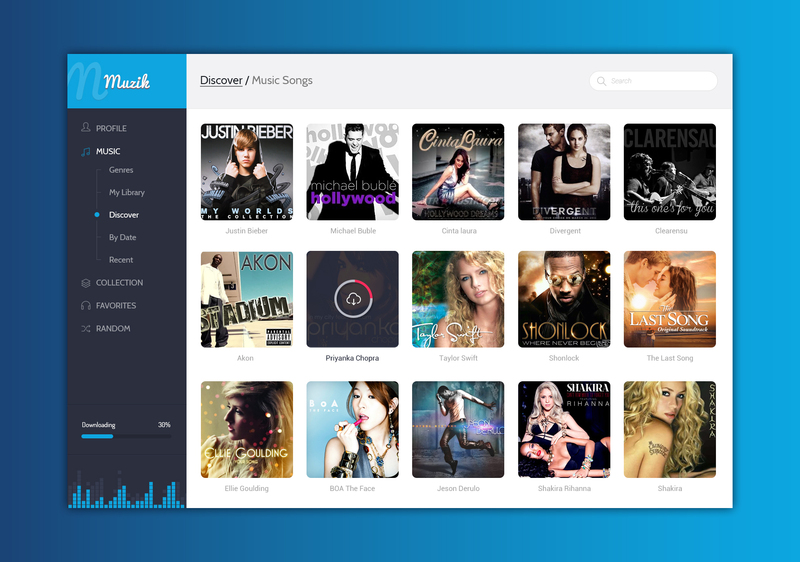 These are areas where customers would probably benefit far more from clear communication than even the best of playlists. 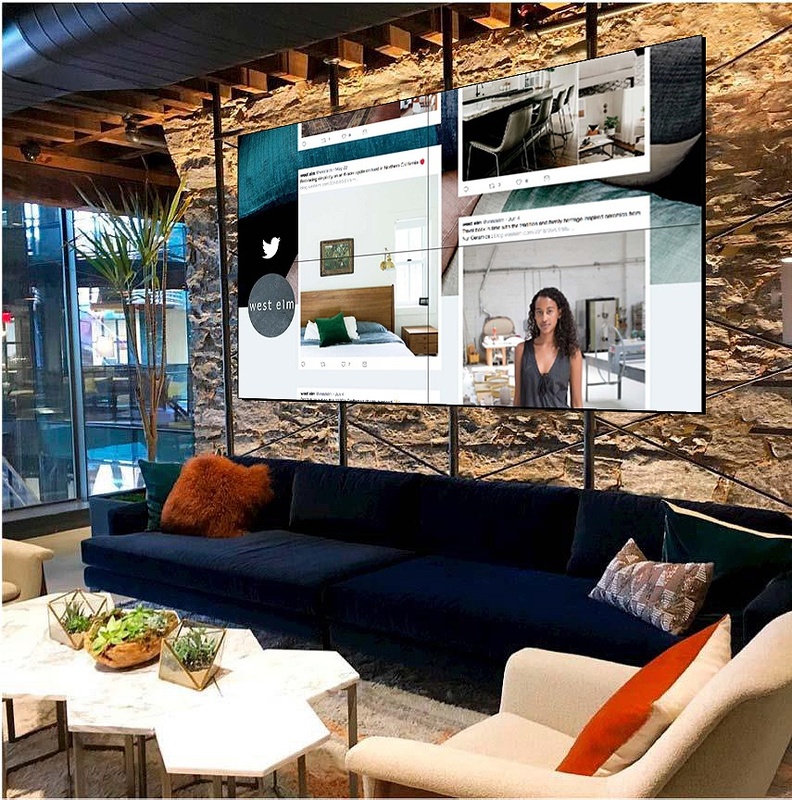 As you can see, designing the right commercial audio system for your business begins with knowing what kind of experience you want to offer your customers. Then, it’s a matter of designing your sound map and choosing which speakers will be able to support it. Fortunately, once your sound system is in place, you can look forward to years and years of greater customer satisfaction.